Looks like there's another pimple and zit buster in town. 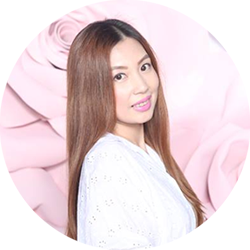 Vida Nutriscience Inc., the makers of AcneCare Capsule and AcneCare Soap made their own version of Mario Badescu Drying Lotion but for a fraction of the cost. Last year, (yes, this is a long overdue post) Vida Nutriscience Inc. sent me the newest addition to their anti-acne skin care product line to try. I received boxes of AcneCare soap which I will just give a short shout out in this post as I haven't use a bar until now. This post will mainly focus on AcneCare Acne Drying Lotion which I presume that is receiving positive reviews from other bloggers who have tried it. I've been using this product once a month, pre-menstrual or post-menstrual period where one or two cystic pimples appear either on my chin or cheeks. 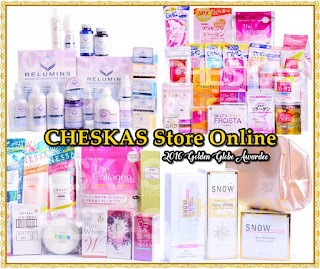 By the way, I found out that this product is available at http://www.cheskasstore.net/ if it's always out of stock in other stores. 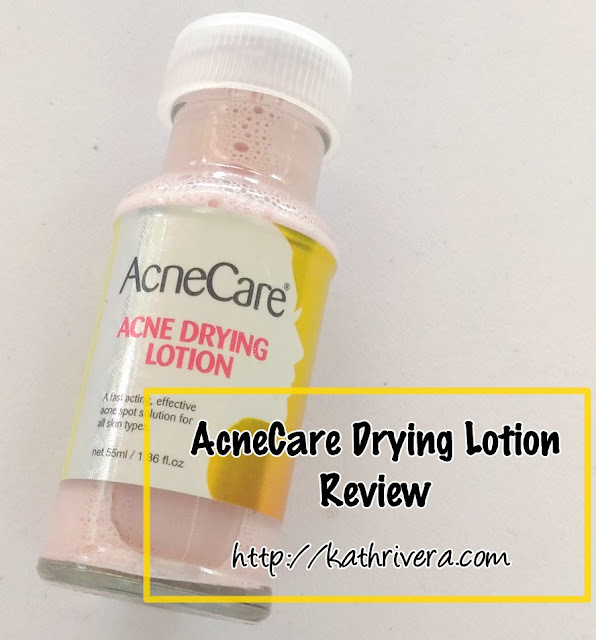 So without further ado, here is my honest to goodness review of AcneCare Acne Drying Lotion. Zinc Oxide- It helps clear up acneic skin due to sun's UV rays, pollution, harsh weather, dry air, bacteria, viruses, chemicals in personal care products, poor diet, stress, and lack of exercise can all damage skin on a daily basis. Titanium Dioxide- An active ingredient that is used as a coloring agent, whitener, thickening agent, and sunscreen. instructions for use: Dip a cotton swab into the pink sediment. Dab on affected area after cleansing of face and let it dry overnight. Wash off in the morning. Use a cotton bud to get the pink sediment. L- small pimple, it's already on the 'hinog' stage. R- how it looks like after application of AcneCare Acne Drying Lotion. The price is very affordable if I'll do the math because I only need a little amount to cover my zit/s. There's a minty and cooling sensation once the product is applied on my angry, reddish, and painful zit. It can dry up a small pimple overnight. There's a minty and cooling sensation that I felt upon application. It's soothing and can calm redness. No further irritation, breakouts, or whatsoever. Batch, manufacturing, expiration date printed on the bottle. I wish it's in a more decent bottle packaging. There's a herbalish scent that my nose can't tolerate. Will I repurchase? Yes, but not for now as I still have a back-up bottle in my stash. I give this a 4.75/5 rating. This is easy to apply just get a cotton bud and dip inside the bottle to get the pink sediment and apply it to your pimple/s. I highly recommend this product because it really works. For small pimples, it will take overnight but for those with a moderate case, it takes two to three days in my experience before the pimple/s shrink in size and totally dry itself. Even though the recommended dose of application is once a day, I apply it twice especially if a pimple is big and painful. What you need to do if you're just staying at home is apply this after a bath and after washing your face at night before bedtime. DISCLAIMER: This product was sent to me by Vida Nutriscience for a review. The thoughts expressed here are my honest opinion about the product. What works for me may not work for you or vice versa. I need this! Buti na lang it's available at Watson's and Mercury Drugs. Thanks for the kind words. Yup, I'll edit my post. At first kasi I shake it. Then I discovered to dip the cotton buds to the pink sediment na after the fist week of use. No need to shake. Just get the pink sediment tapos dab on pimples. Hello! Need talaga yung nasa bottom not i dip lang dun sa liquid? Yes, yung pink sediment sa bottom kasi yung main ingredient and need iapply sa pimples. miss just want to ask if this product can remove dark spots? For drying of pimples and acne po ito. This will not remove dark spots. No. This is not for whitening of blemishes. Pang heal and dry po ito. Kung nasa bahay ka lang naman pwede naman i-apply sa morning basta di ka pag-papawisan sa face kasi maaalis agad yung pink sediment. Usually mga topical ointments and some says laser treatments daw will lessen the scar. 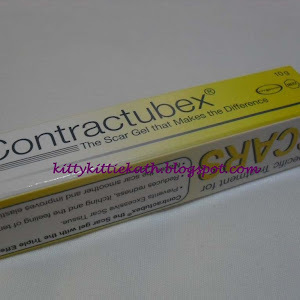 Try contractubex for the ointment kasi yun pa lang ang na-try ko. It depends kung gaano kadami yung i-aaply mo. Pero madali naman matanggal using warm water and soap. Since I'm not prone to acne now, iba na nag beauty regimen ko. I change skin care products most of the time kasi I need to review but still stick to what my skin loves. For acne prone skin I presume you have oily face or combination, try using mild facial wash or cleanser. Tapos use toner yung Eskinol na calamansi okay din. Then yung moisturizer should be oil-free. Dapat gel type. Use face mask, kung may makikita ka na charcoal or bamboo something mas okay. Ano po bang mas mabisang gamitin na pangtanggal ng pimples at dark spot, acne care lotion po ba or soap? If moderate yung case ng acne, dapat soap, lotion, and supplement talaga ang combination. 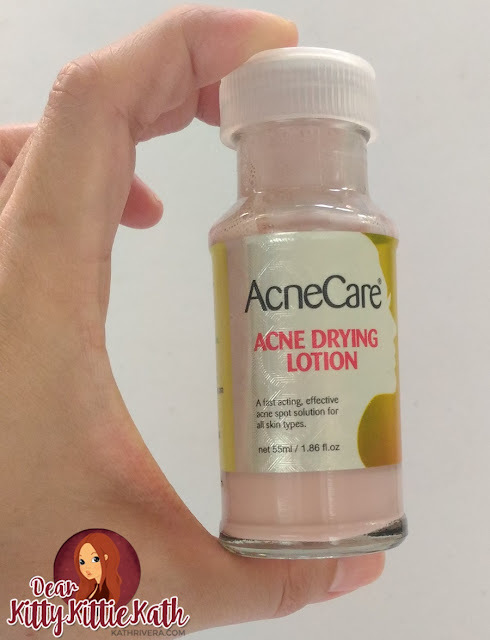 Pero kung ilang piraso ng pimples lang, pang spot treatment kasi ang acne care lotion. Yung soap is for maintenance. This product is for spot treatment. If you have moderate or sever acne you have to use the soap and take the supplement. Pwede naman for moderate and less serious cases ng acne. mas ok kaya ilagay s ref to?? and anong mostiurizer ang mgnda gamitin? No need to place sa ref. In my observation baka magbuo yung pink sediment and mahirapan ka kuhanin using cotton buds. Just place it sa cool storage, yung di naaarawan. Moisturizer depends on your skin type, madami kasi. 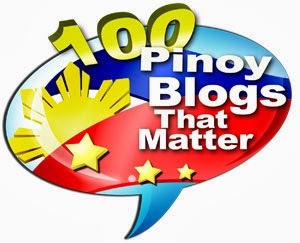 Mahirap mag-recommend. Thanks for these acne products including lotion, it looks good to me. Thank you so much for sharing your experience. Glad that you like the products. 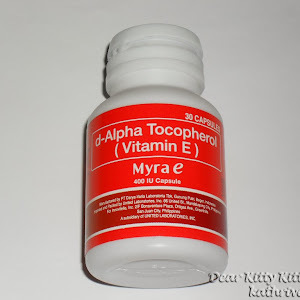 Ilang araw before makita yung effect ng capsule? mabaho po ba yung capsule? kasi nung binili ko meron cotton sa loob atsaka ung pantanggal daw ng amoy parang yung nakikita naten sa loob ng bagong sapatos na crystal? If my memory serves me right hindi naman. Not sure if the formulation is bago na. Kindly check with Acne Care's Facebook page na lang para sure. Pasensya na hindi ko masasagot. Can this be applied like a lotion, that is i spread mo sya sa face mo, not just on spots, kasi in my case i have the pimples, the size of prickly heat on the sides of my face. the soap was effective though, kasi nawala ung mga bigger red spots...thanks..
No, this is for spot application lang. Di ko pa natry gawin yun, and parang mahirap kasi if you'll apply it sa gabi baka dumikit lang sa pillow yung ilalagay mo sa face mo if ever buong face ang lalagyan mo. Hello po, pangalawang night q xa ngayon, the same process shinake q din tapos nag google aq about sa product at nabasa ko mga comments. I hope this product will make good sa face ko na parang nakarent to own ang mga pimples :( pabalik balik kc. try ako ng solution mawawala sa umpisa tapos pag magkakaroon na, ayan na naman sila, nagrarally na naman sa mukha ko. huh. nakakapagod. Okay na din kahit di na ishake. All you need kasi is the pink sediment sa baba ng bottle. Yun ang dapat ilagay sa pimples. 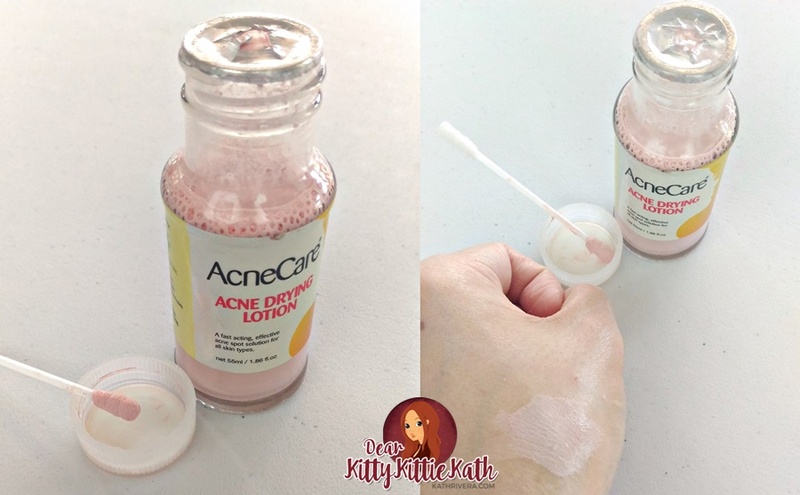 i have a tip, once the pink sediment separates to the liquid, get a cotton ball, use the liquid as cleanser, it will make your skin less textured and good for makeup application. when appying to a pimple, make sure you get a very thick pink sediment to a cotton bud and then apply it directly to a pimple/acne. By doing this your pimple will immediately dry and less painful the next day. bunos, less scaring too! Thank you so much for sharing your tip. Will try that also and let you know how it fare with my skin. 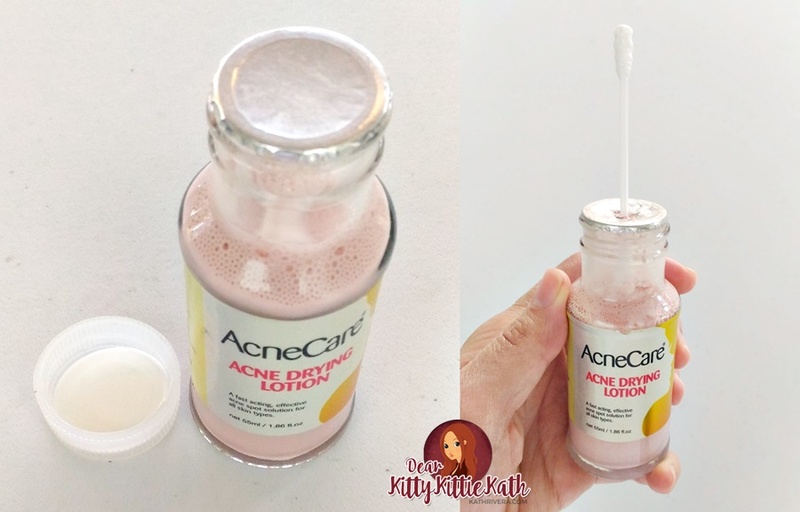 Yes, I always get a thick pink sediment and apply it directly sa pimple. Next day, it's less red and begins to subside na din. Can i put the lotion again after i clean my face in the morning? ?if ever na hindi ako lalabas ng bahay? Yes, basta hindi lalabas ng bahay. I highly recommend this product. It's very effective in minimizing the inflammation. It's has almost the same ingredients as the Clear Away Spot of The Face Shop but same effect and it's WAY cheaper. NO NEED TO SHAKE THE BOTTLE. What you need is the pink stuff at the bottom only. Use clean cotton swab and a small dab will do. The liquid kasi may denatured Alcohol and nakakadry ng skin. Lotion is intended for spot treatment. You may use their soap and supplement for removing acne. Pero if hindi naman ganun kadami yung sa forehead mo, pwede mo na ito gamitin. My advice is to let that small pimples come out naturally. This is because of the hormonal change sa body before and after menstruation. Kindly wait until 18 years old before you let her take this kind of supplements. Even if this is a natural one, I strongly suggest 18 years old. Hi, nakakatanggal din ba sya ng acne scars? Hindi po. Pang dry lang ng acne and pimples. Hello, 1week na akong gumagamit nito. napapansin ko lang na dumadami lalo pimples ko sa may noo at pisngi.side effect nya po ba ito na palalabasin muna lahat ng pimples bago mawala? For some ganun ang nagyayari, 1 week may purging stage. Pero pag di nagstop yan, baka hindi ka hiyang. 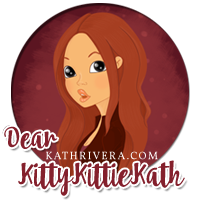 Hi po ms kath. Have you tried snow pore minimizer toner? I am continuously using acne care since okay po siya sa pimps but ayun naiiwan nga po yung marks so I have to put a concealer everytime I go out. Okay po ba yung snow? Since same manufavturer sila ng acne care? Parang medyo conflict po kasi sa akin, parang ngkakapimps ako pag gu. 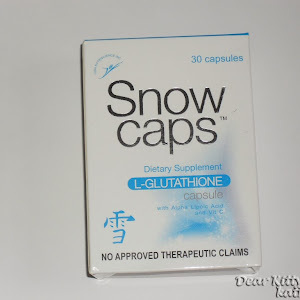 Agamit ako ng snow tapos lalagyan ko ng acne care. Any suggestions po. Thanks! I haven't tried Snow Pore Minimizer. What do you mean po na snow ang gamit nyo? Yung Snow Facial Cream ba yun? If yes, wala po ako ma cocomment kasi hindi ko po na-try yun. Yung snow lotion lang ang nagamit ko. I think di ka hiyang sa snow moisturizer/cream if nagkaka-pimples ka ulit. For blemishes kasi kojic soap mabilis makaputi tapos use creams na may whitening. 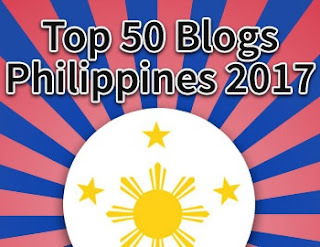 Try Belo or Kojie San. is this safe for pregnant? I prefer you consult the doctor first for the ingredients list. I'm not sure if there are ingredients not suitable for pregnant women. Hi maam, 1st week pa po simula ng ginamit ko ang lotion and soap ng acne care. pero dumami po ang pimples ko na supposedly kukunti lang, bakit po ganito? part ba po ito ng phase sa pagamit? kelangan ko pa bang magtiis? pls po pakisagot.. Yes, pwede sya purging stage lang pero pag tumagal na ganyan, let's say mga 2-3 weeks na. Stop ka na. Pwede kasi hindi ka hiyang sa soap. Hello. I just wanna know if my bottle is shaken would it still be back to normal? Kasi when I bought it, naglakad-lakad pa ako sa mall (so medyo naalog talaga siya) and when I opened the box, it got incorporated na and went pink. Mababalik pa ba siya sa original condition niya? Yes, after sometime hihiwalay yung pink sediment sa water. So mapupunta ulit yun sa bottom part ng lotion. This is a drying lotion for mild to moderate and freshly popped pimples. Hindi ko pa na-try sa severe. Hi, Good post and treatment for pre-menstrual or post-menstrual period acne. 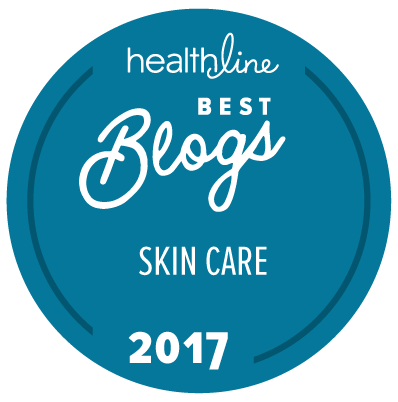 I read this find good review on Acnecare. Great, Keep it up. Thank you so much and I'm happy that you find this one good. Hi yung soap ang lotion hindi po ba siya yung matapang nagamot? I wanna try kasi eh. Bawal kasi skin yung sobrang tapang na gamot. 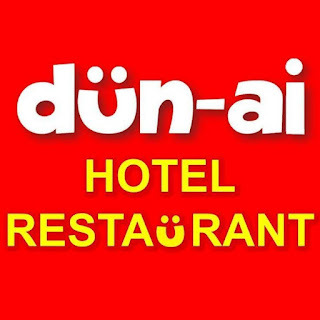 What can you recomend? For the drying lotion, may stinging feel if iaapply sa severe pimples but may minty feel din. Hindi naman matapang. I'm not sure if pwede ito. Pwde sa mga hindi pa na pop na pimples or acne. Hello po. Tanong ko lang po kung nakakatanggal po ito ng whiteheads at blackheads?